Enter Lisa, who I met through my good friend Heather. Lisa’s mom grew up in Sweden, and, well, it didn’t take us too long to come to the necessary conclusion that we must meet up to make Swedish cardamom buns and drink Glögg. 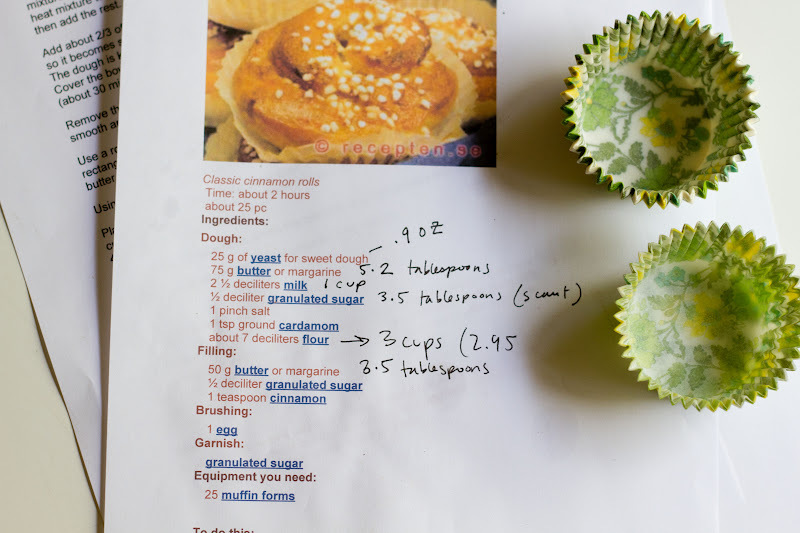 However, by the time Lisa and I found a free afternoon to make these cardamom buns, she was in the middle of a cleanse. 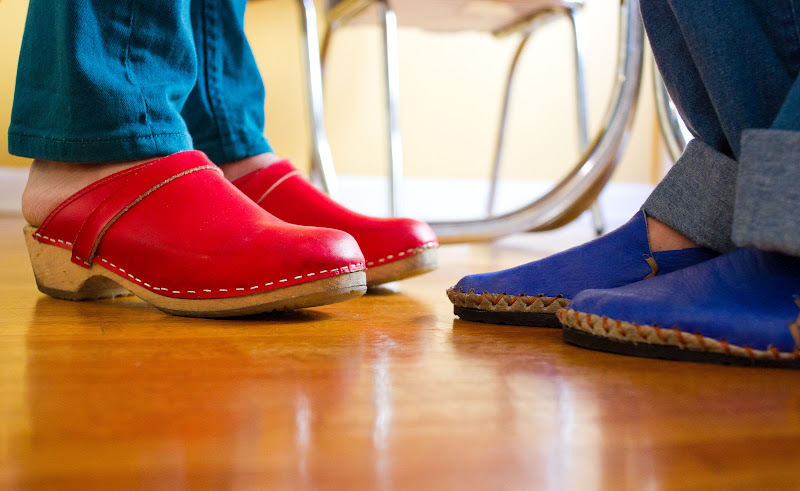 How Swedish is that? (Sweden’s a bastion of health and wellness, remember?) So, while Lisa couldn’t chow down on gluten-y, sugary foods and vodka-based beverages, Matt and I were very much available to partake in both. Of course, there is a difference between chowing down and fika, which Lisa explained, is Swedish for taking a break to drink coffee or tea and eat something sweet—usually a cardamom bun—with a friend. (Seriously, that four-letter word means all of that, and it can be used as a verb or a noun!) So, while the cleanse may have stopped her from sipping the aforementioned Glögg, it didn’t put a damper on the fika. See, I think it’s important to note that these are not the kind of cinnamon buns you find at the food court. No, these buns are much more Swedish. They are subtly sweet. There is no extra glaze on top and no cream cheese filling. I also think it’s important to note that it’s 2pm in the afternoon and one is warming up in the toaster oven as I type this. This version here is a combination of two Swedish recipes, one of which comes to us via Lisa’s brother’s girlfriend, Ebba, and the other from Lisa’s Aunt Veronica, which she translated into English for us, and which was titled “Mommy’s Buns.” So I must extend a big thank you to these ladies for all of the information! Hear that? It’s the ding of the toaster oven. Excuse me while I go fika. 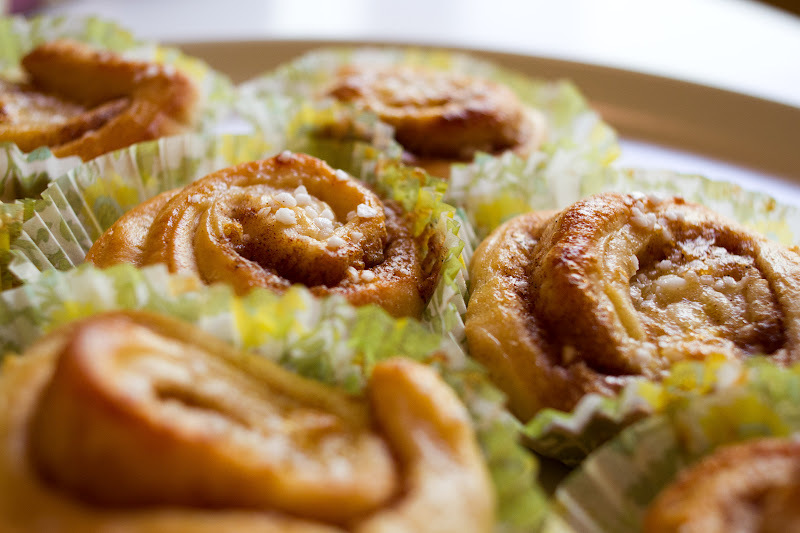 Cardamom Buns adapted from a few different Swedish recipes, with a lot of help from Lisa Fika! Start with the dough. Melt the butter in a sauce pan and add the milk. Warm the mixture until it is “finger warm," a.k.a. room temperature. Dissolve the yeast into this mixture. Let it sit a few minutes. (It should look a bit foamy.) Then, add the salt, sugar and cardamom. Stir. Transfer mixture to an electric mixer or, if mixing by hand, a large mixing bowl. Add about 2/3 of the flour and mix until it becomes smooth and shiny. Add a little more flour, but save enough for kneading later. 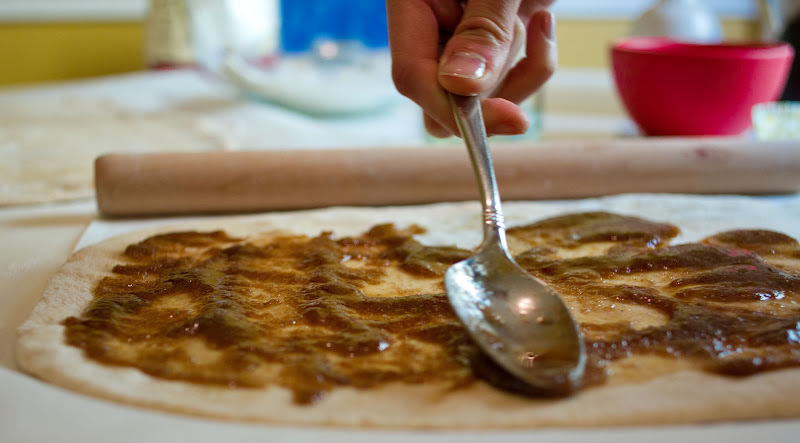 The dough is ready when it easily releases from the sides of the bowl. 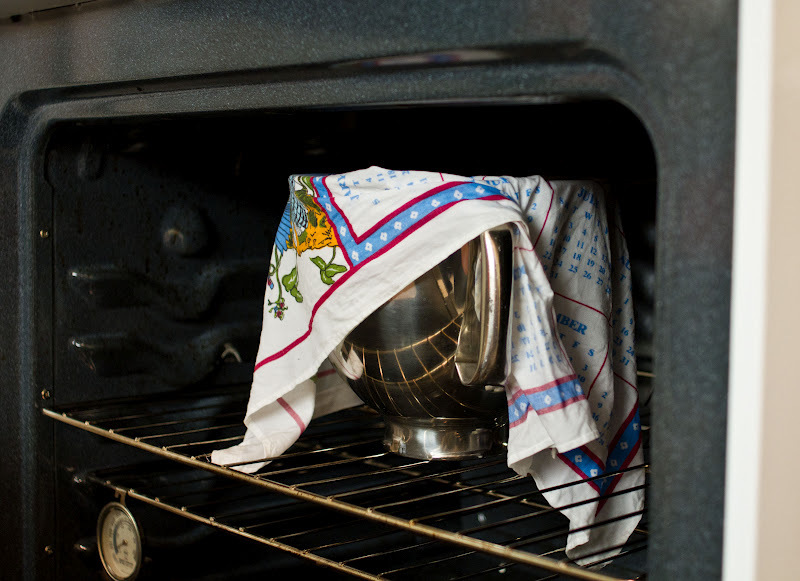 Cover the bowl with a thin towel, place it in a warm spot, and let it rise until it is twice the original size (about 30 minutes). Remove the dough from the bowl, and using the rest of the flour, knead it lightly on a floured surface until smooth and shiny. 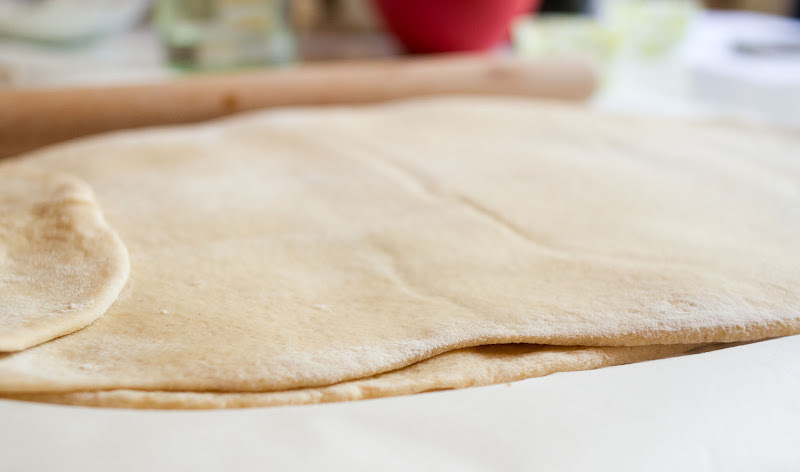 Divide dough into two halves. 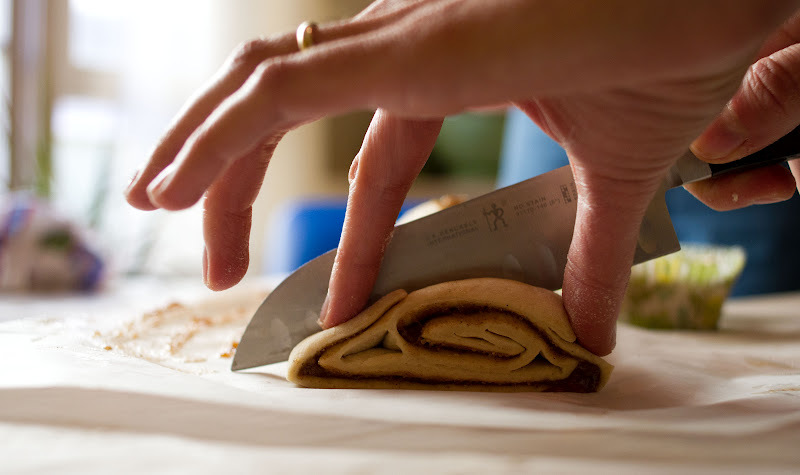 Roll each half of dough into a thin, big rectangle. Combine the filling ingredients and then spread evenly over one of the rectangles. Place the other dough rectangle right on top, making a sandwich! 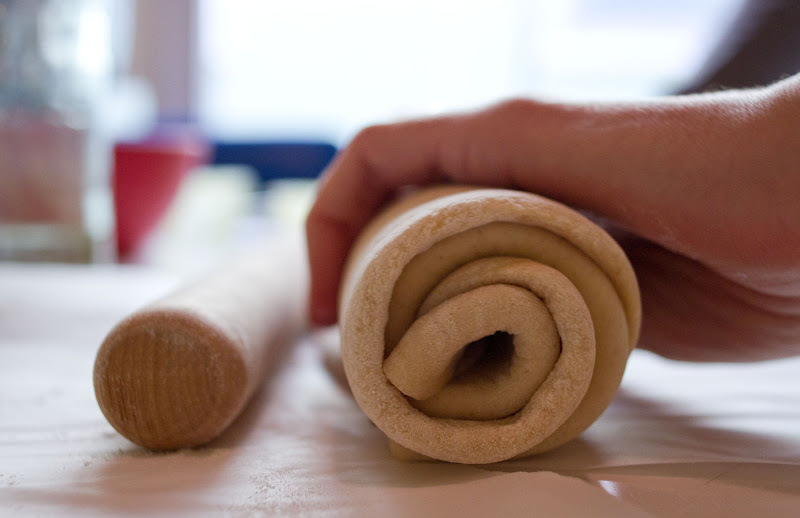 Then, roll the sandwich up, long side to long side, to form a long cylinder. Using a sharp knife, cut each cylinder into equal slices. Place each slice into a paper cupcake holder and arrange on top of a rimmed baking sheet. Cover them with a towel and let rise until doubled in size (about 30-45 min). Preheat oven to 425 F. Once the buns have risen, brush the rolls with the beaten egg and sprinkle with pearl sugar. Bake in center of oven at 425 degrees for 8-10 minutes. Shelf life: At room temperature, the buns quickly become dry out, so if you don’t intend on eating them soon, freeze them! 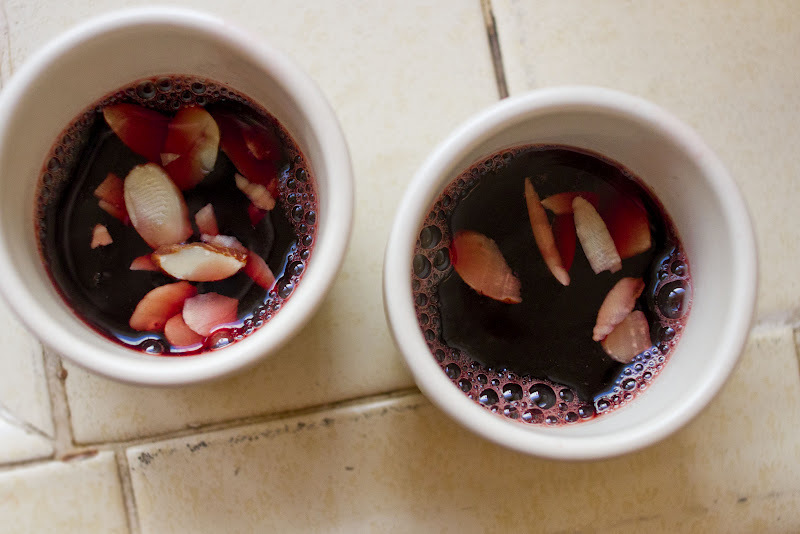 I love glogg. There, I said it. OMG Those look and sound soo amazing. I must try them! BTW I'm addicted to your blog and was terrified when I checked this morning and there wasn't a new post up. PHEW! seems like you guys had fun together! love the photos. fika fika! nice to meet ya! lisa! These look amazing! I have to try this recipe asap. Fika. Enough said. Love it. And those lovely cupcake papers(!) Where did you find those? Thanks for sharing, as always. YEAH! Cozy central with my wax and my cloz!!! So do you 'have a fika' or just 'fika' and can one have 'fikad' in the past or does it only apply to present tense. Curious minds want to know and not make fools of themselves in front of Swedes. But curious minds also want to adopt said word into curious lexicon because it's perfect. This, by the way, makes me wonder about how much we're missing out on in English. You know, how Eskimos have numerous words for snow and we just have snow, and maybe sleet or blizzard. And how, even in British culture where the afternoon tea break is such an integral part of life that we all have an internal clock that starts buzzing at 3pm, there is no awesome word to describe it. Fika. Excellent. This is one of my favorite posts of yours now. It's just so cheery and the photography is really creative. Love it. Enjoy those little buns, lady! "To do this" - I love it! 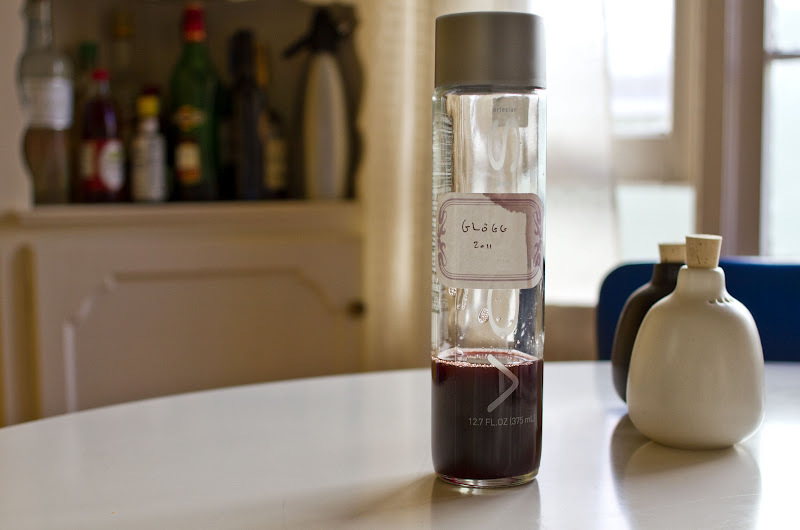 So authoritative and insidery, like you and the recipe are in on it together. Maybe it should say "let's do this." 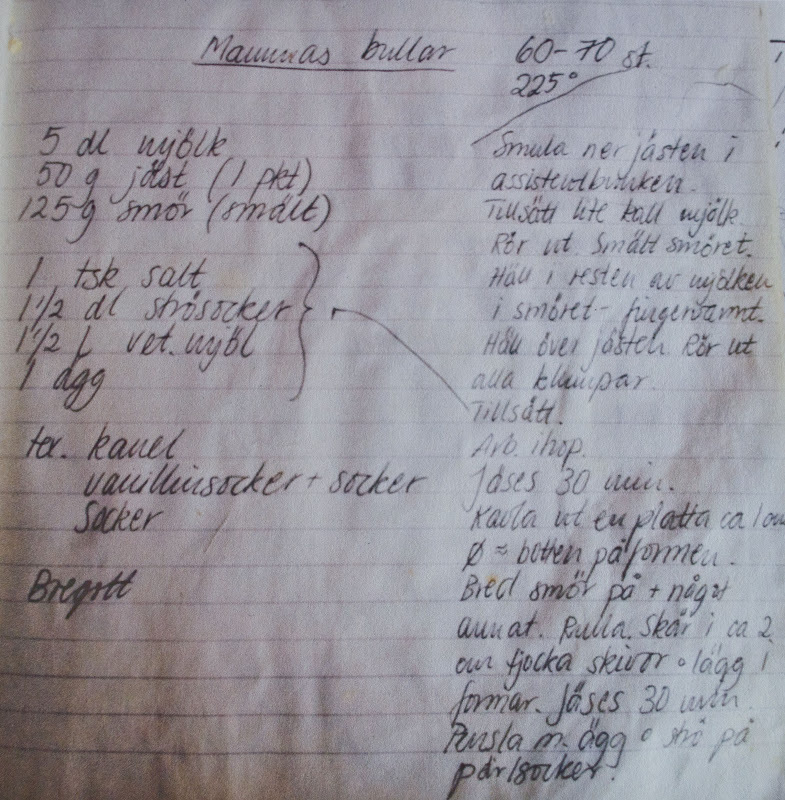 I love everything about this post- the photos, handwritten recipes, and fika! Looks great! More fika for the people! Your blog always introduces me to the coolest stuff. I LOVE this FIKA, it is officially part of my everyday language. Also, more videos PLEASE. These photos are so rad! The colors! awww, Tim, you just went and made Matt's day!! my o my those look delicious! this is a must make!!! that dough looks like heaven. My day has been made, I can finally get out of bed! Thanks, Tim!!! I love your conversion from the metric to the US system on your printed recipe because I have to convert from the US to the metric system. :) (Still not used to the American system.) Anyway, I love glogg too, and your Swedish buns look delicious. If making cardomom buns is one of the secrets to being healthy, I'M IN! I too have an obsession with all things Swedish - perhaps they glow because of all the fish they consume! DUDE. i wanna fika! these look and sound glorious! oh jaaa, så bra! glögi and cinnamon buns sound like a perfect fika time. this post makes me so happy, it's nice to see the scandilove being spread. 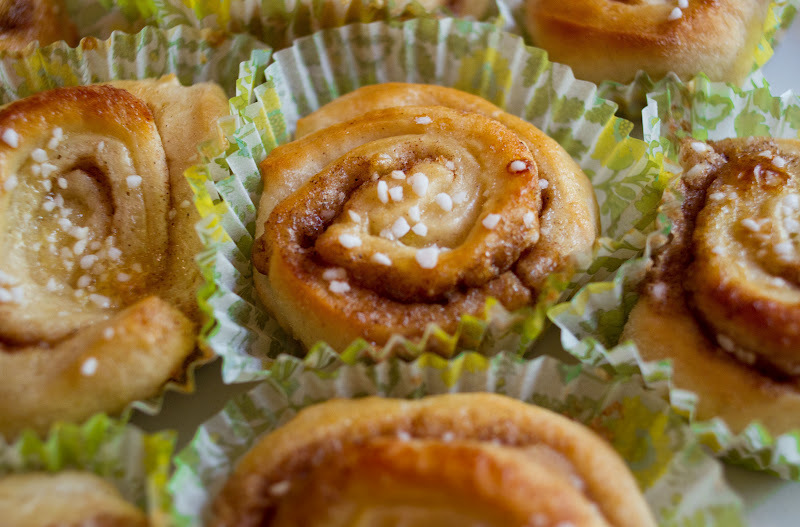 I grew up in Sweden...this post made me smile :) These buns look delicious! Hi! mind sharing where the cruet set is from? Thanks! you have saved a chinese who is craving for swedish buns! I want to take a minute to thank you for sharing this recipe. I have family from sweden, and I have to say that I have never really attempted to learn anything about the culture, foods, lifestyle etc until recently. I am a young woman, who after many years of not really being allowed to know much about Sweden and the heritage I am, am now learning to embrace a culture after many years. I picked your recipe to try for my first Swedish food after doing some extensive research. This one seemed to be the best way to go. I have always wondered about my lifelines, my family, and where I came from. With this recipe, I now feel like I have a bit a connection with who I am. I know it may sound funny that a recipe helps me feel like I am connected to my lifelines, but food is very important of any culture. Right? In any case. Thank you. Thank you for sharing this so that I may start to get to know who I am. It has helped me a lot. And I thank you for that. you're so very welcome!! So glad you found it.